The Super Reef Octopus SRO-5000SSS 10" Space Saver Protein Skimmer has all the performance you've come to expect from the expert series of Super Reef Octopus with the pump built into the bottom of the skimmer to save on sump space. Note: Recommended Sump Water Depth: 6.5 -7"
This unit replaces an early model octopus skimmer that I had for many years- it does produce a lot of wet skim-waste where as my older model produced more of a sticky clay waste. I am hoping that with a little adjustments i can dry the waste a little. Looking for a replacement O-ring for the neck. Could you please tell me where i could locate one, size, and material? 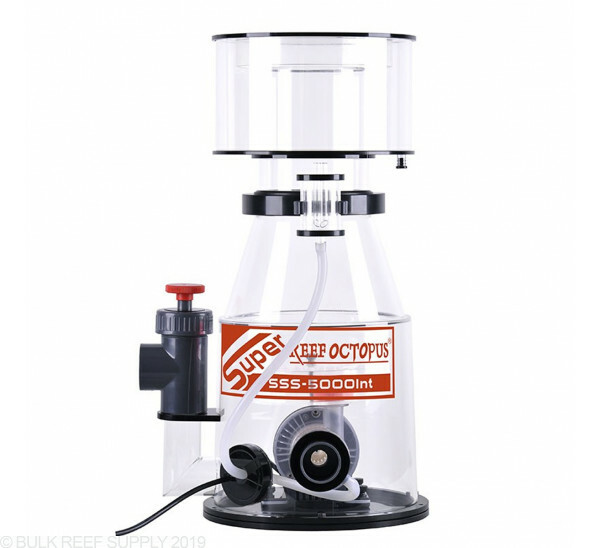 All replacement parts for reef octopus can currently be purchased directly through CoralVue. Feel free to let us know if you have any further questions! Thanks for reaching out to us! This skimmer cup has a diameter of 10", along with the main body. However with the output, and pump the footprint on the lower portion is 13" x 11".